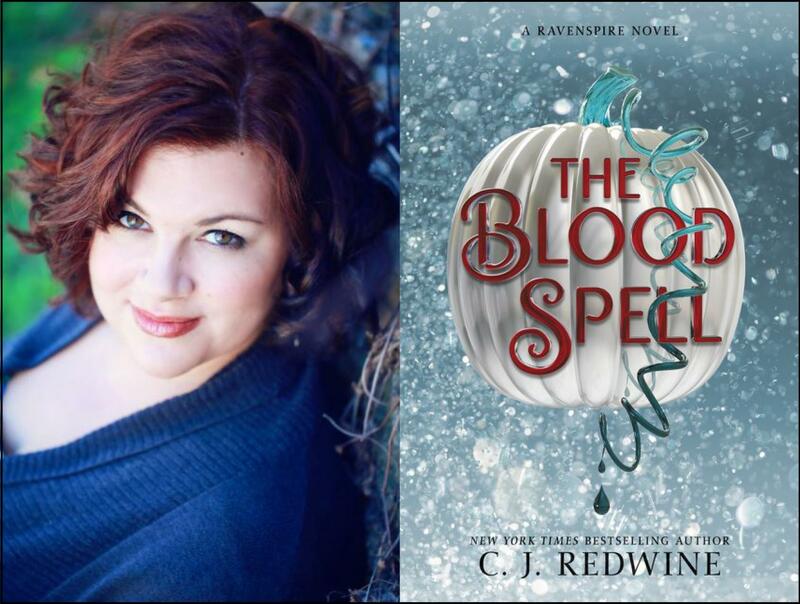 Parnassus Books is thrilled to offer our customers the opportunity to preorder autographed and/or personalized copies of New York Times bestselling young adult author C.J. Redwine's highly anticipated new book, The Blood Spell, the fourth installment in her Ravenspire series. Perfect for fans of Sarah J. Maas, Marissa Meyer, and Renee Ahdieh, The Blood Spell is a dark and romantic epic fantasy inspired by Cinderella. It's the story of a girl who must team up with the prince she despises to defeat an evil creature threatening their kingdom. Autographed and personalized copies of Redwine's previous books are also available. Read on for important ordering instructions, as well as more details about The Blood Spell! All pre-orders can be signed or personalized by the author at no additional cost. If you would like your book personalized, please include exactly how you would like the author to personalize your book in the comments section of your order. The comments are delivered to us exactly as you enter them, so it is helpful if you write in full sentences (i.e. "I would like C.J. to personalize the book to Susan Smith"). All preorders are eligible to receive a special free gift from the author. The free gift can only be included with orders shipped via priority shipping. If you select media rate shipping, we will not be able to include the gift with your order, per U.S. Postal Service shipping guidelines. Be sure to select priority as your shipping method if you wish to receive the gift. All Ravenspire books ordered from Parnassus will also include the official seal of Ravenspire -- available only at bookstores hosting Redwine on her 2019 tour. The pre-order deadline is Sunday, February 10th, at 5pm CST. Orders placed after this deadline will be filled with autographed books as supplies last, and will not include the free preorder gift.